Northwest Family Physicians in Charlotte, North Carolina, established in 2000, our dedicated staff strives to deliver personal care and service to all of our patients. With over 40 years of combined experience, our physicians have the knowledge and training to care for most of your medical needs. We have on site lab and x-ray, as well as access to specialties all over the region. Look no further for a health care team, independent from the large hospital group who really cares for you. William G. Larsen, M.D. has practiced at Northwest Family Physicians since its inception in May of 2,000. Prior to that date, he practiced at the Nalle Clinic in the same location. Dr. Larsen graduated from UNC-Chapel Hill with a degree in Zoology and went on to study Medicine at East Carolina University. After obtaining his MD degree, he completed a residency in Family Medicine at Santa Monica/UCLA. Before returning to his home in North Carolina, Dr. Larsen was a faculty member at UCLA as a Professor of Family Medicine. He is a fellow of the American Academy of Family Physicians and Board Certified in Family Medicine. Dr. Larsen and his colleagues are trained in the full-spectrum of care, from pediatrics to geriatrics, and minor surgery, internal medicine, and gynecology. He has a special interest in HIV care. 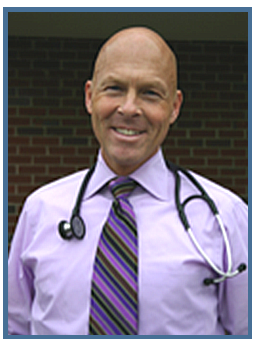 Dr. Larsen grew up in nearby Stanly County and now resides in uptown Charlotte and is an avid cyclist and traveler. 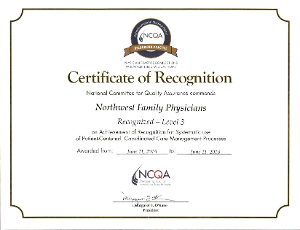 He is proud to care for all types of families at Northwest Family Physicians. Catherine Norton, M.D. is also a founding member of Northwest Family Physicians, and was born in Sierpc, Poland. After graduating from medical school in Warsaw, she served as a physician in the Pediatrics division of the local health department in Boleslawiec, Poland. She and her family immigrated to the United States, where she continued her medical career in Portland, Oregon, at Bess Keiser Hospital in the Cardiology Department. Dr. Norton completed her Family Practice Residency at St. Vincent's Health Center in Erie, Pennsylvania. 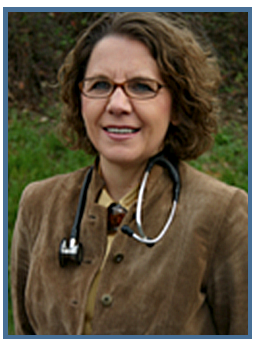 Dr. Norton is married with two children and lives in southeast Charlotte. Dr. Norton enjoys running and has a keen interest in women's health.